Some people can be lazy or stubborn and park in places they should not. Some of these people block other vehicles in that could cause others plans to be ruined or even causing an individual to be late to work. 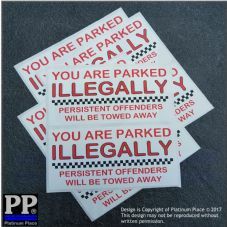 Warn these types of people that action will be taken if they park in places they shouldn't. 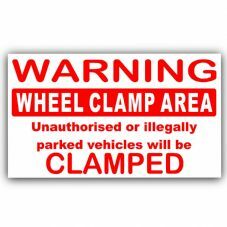 Even if you do not have a clamping system in place, a warning sign such as these will surely make them change their mind and find a more appropriate place to park.